Wilson at Martinsville: This Saturday’s race marks Wilson’s first start with Niece Motorsports, but his fourth NASCAR Gander Outdoors Truck Series (NGOTS) start overall. In his four NGOTS starts, Wilson’s best finish of 16th came at Martinsville Speedway last year in his Truck Series debut. On the Truck: The No. 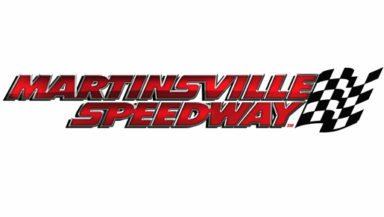 44 Chevrolet will carry the TrüNorth™ colors at Martinsville Speedway. TrüNorth™ is the leading provider of commercial asset related warranty programs and services for dealers, fleets, owner-operators, and commercial finance companies. The paint scheme that Wilson will run at Martinsville was designed by Paul Teutul, Jr. of Paul Jr. Designs and star of “American Chopper”, in partnership with TrüNorth™. TrüNorth™ partnered with Paul Jr. to build the first TrüNorth™ custom bike, which was unveiled in early November at the UTA Convention in Orlando. Niece Motorsports is owned by United States Marine Corps Veteran Al Niece. In 2019, Niece Motorsports enters its fourth season in the NASCAR Gander Outdoors Truck Series, with drivers Ross Chastain, Reid Wilson and Timothy Peters. Niece also owns Niece Equipment, which has for over 40 years provided clients with reliable products at competitive prices. Niece Equipment’s reputation is built on service, integrity and dependability. The company provides water and fuel / lube trucks that are engineered with quality and durability in mind for the construction and mining industry. Follow the team on Facebook and Instagram @NieceMotorsports as well as Twitter @NieceMotorsport.